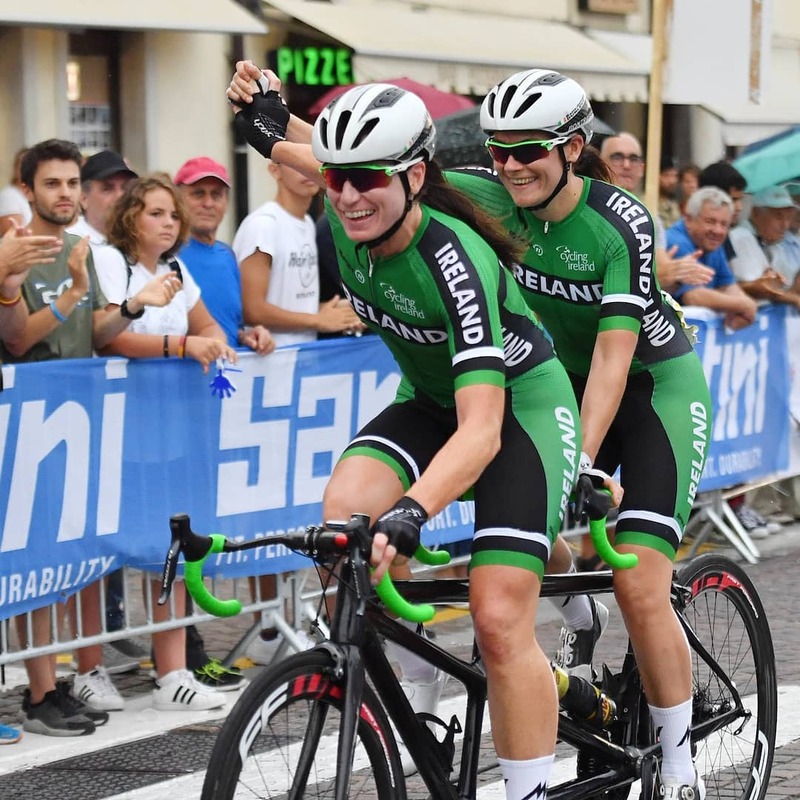 Just 48 hours after winning the TT rainbow bands, Katie George Dunlevy and Eve McCrystal won the road race title in Italy in August. 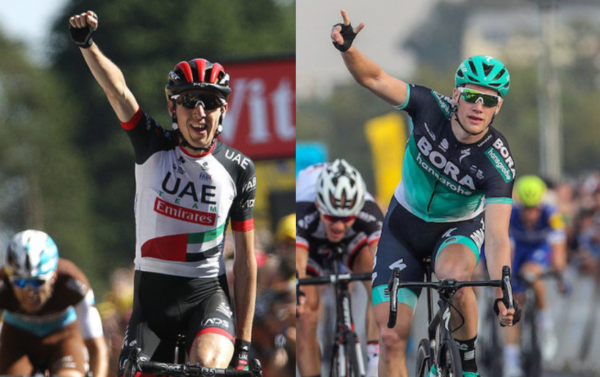 Dan Martin and Ireland’s ‘Golden Girls’, Katie George Dunlevy and Eve McCrystal, have made the long list for the RTE Sportsperson of the Year awards. However, there is no room for Sam Bennett. The Carrick-on-Suir man won three stages of the Giro d’Italia, among eight victories, this year. However, a number of GAA players have made the list ahead of him as well as athletes whose biggest success this year was breaking an Irish record. Martin is often overlooked for these and other awards in Ireland, but this time he is deservedly on the list. The RTE long list citation says of him: “Cyclist Dan Martin won stage six of the Tour de France to Mur de Bretagne and finished 8th in the overall rankings. 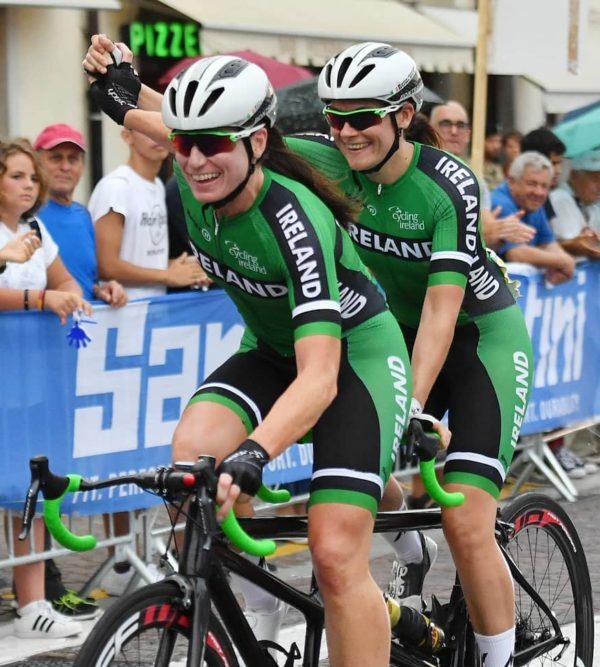 Dunlevy and McCrystal are regulars in receiving awards and were very much in demand after becoming Paralympic champions in 2016. Dan Martin and Sam Bennett; both Grand Tour stage winners this year but only the former makes the cut with RTE. This year they won gold medals at the Worlds in both the road race and the TT and, like Dan Martin, their place on the list is well earned. Sam Bennett’s absence is a puzzling one as he was far from ignored by RTE this year. His victories at the Giro and the Tour of Turkey featured prominently on its radio and TV broadcasts. Yet those wins have somehow been overlooked, even though the long list features no fewer than 23 nominees. The final short list will be announced on Sunday Sport on RTÉ Radio 1 on Sunday, December 9th. Two weeks later the RTÉ Sport Awards 2018, selected by a judging panel, will be broadcast live on RTÉ One on Saturday, December 15th, from 9.20pm. Along with the ‘Sportsperson of the Year’ award the show will also see the ‘Young Sportsperson of the Year’ named. And there will awards for ‘Team of the Year’ and ‘Manager of the Year’, as well as a new inductee to the national broadcaster’s sport hall of fame. On the Sportsperson of the Year long list are: Sinead Ahern (GAA, football), Thomas Barr (400m hurdles, athletics), TJ Doheny (boxing), Brian Fenton (GAA, football), Kellie Harrington (boxing), Phil Healy (200m, athletics), Patrick Hoban (soccer, League of Ireland), Ellen Keane (para-swimming), Cian Lynch (hurling), Arthur Lanigan O’Keeffe (modern pentathlon), Padraig McCarthy (show jumping), Rhys McClenaghan (gymnastics), Ayeisha McFerran (hockey), Sanita Puspure (rowing), Jonathan Rea (motorcycling), Davy Russell (jockey), Shane Ryan (swimming), Johnny Sexton (rugby), Chloe Sigerson (camogie), Jason Smyth (para-athletics), Katie Taylor (boxing).